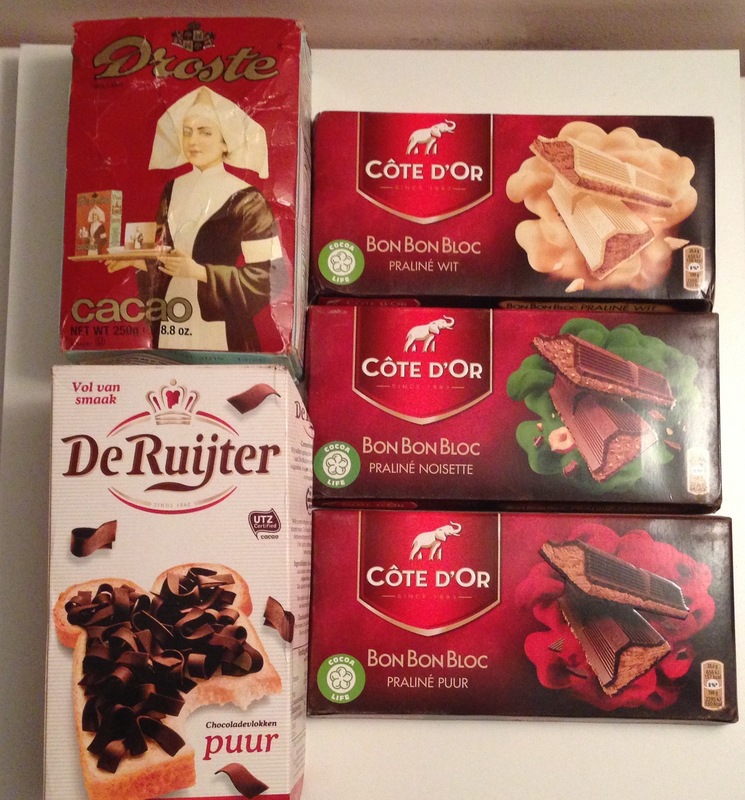 I was super excited when I came home one day and found a package from my aunt, who is Dutch and has been introducing me to wonderful chocolate from the Netherlands 🙂 Seriously, after trying what she has sent me, Dutch chocolate is definitely becoming a favorite of mine and I absolutely love sharing it with others! 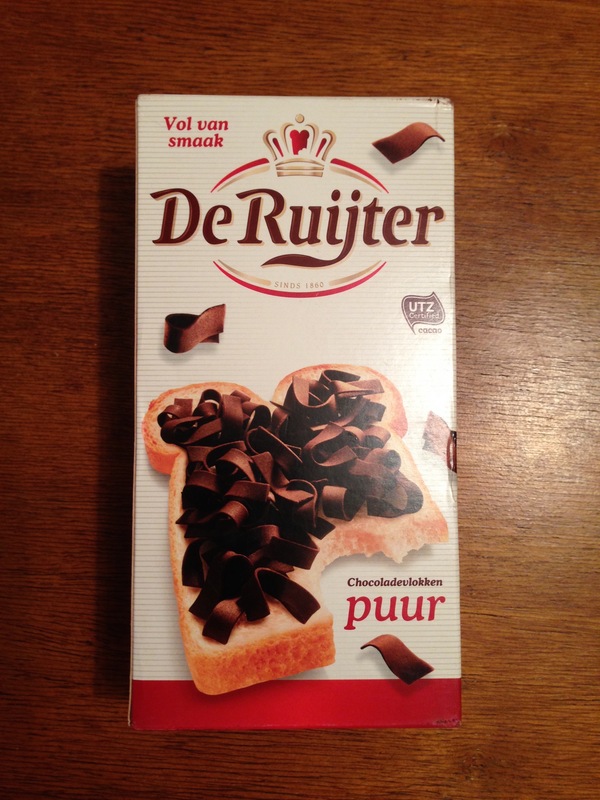 My aunt first introduced me to De Ruijter sprinkles, which I’ve posted about before. 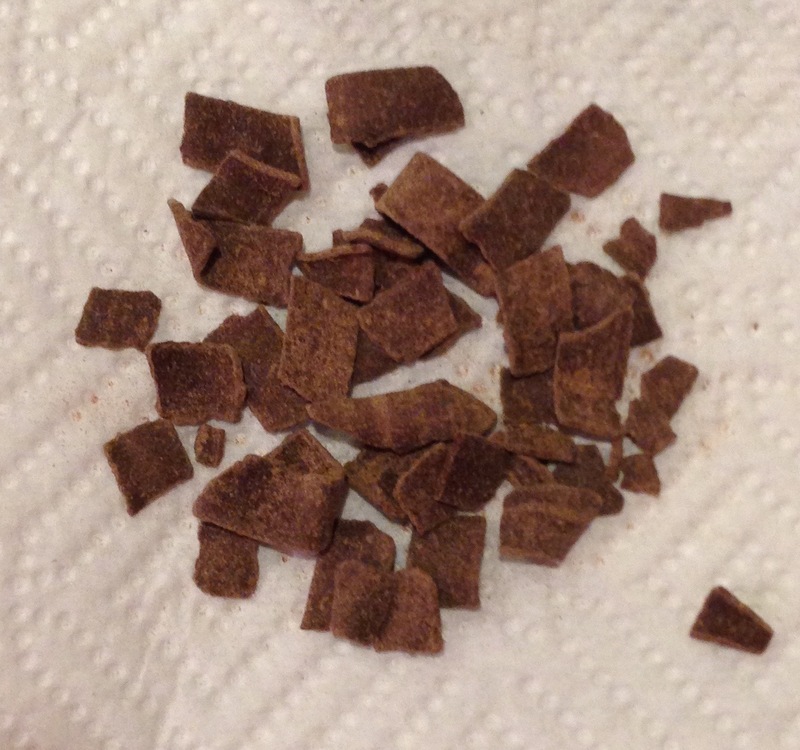 This time she sent me a box of their dark chocolate shavings. I absolutely love the sprinkles by De Ruijter, and everyone I’ve introduced them to also loves them 🙂 Sadly I haven’t been able to find the chocolate shavings here in the U.S., so I was very excited to try them! I didn’t have a chance to try the shavings on top of buttered toast like the box shows, but I had them on top of gelato and THEY WERE DELICIOUS!!! Their texture was softer than the sprinkles, so if you have sensitive teeth and the sprinkles are too hard, the shavings are perfect. 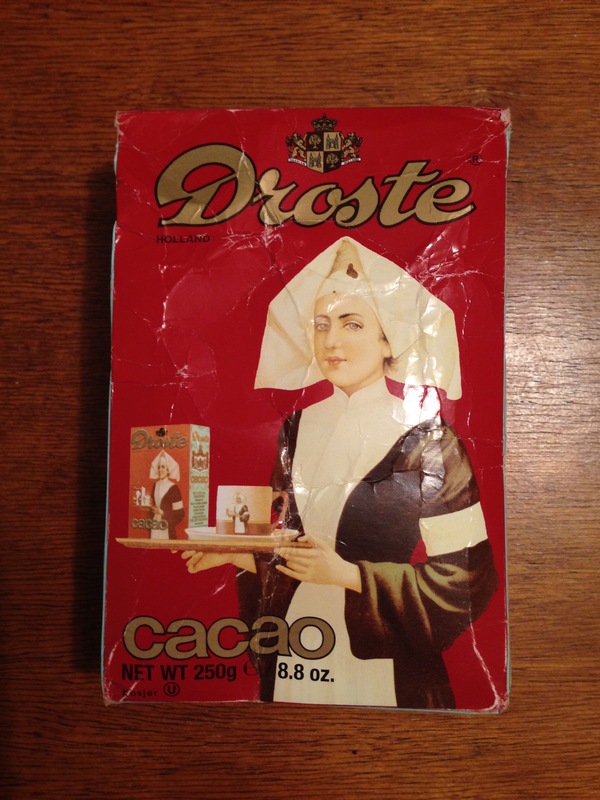 I also posted earlier about Droste chocolate and how much I loved their pastilles. I had absolutely no idea that Droste made their own cocoa!!! I have to admit, my attention was immediately drawn to the picture of the lady holding a box with her own image on it and so on XD On the side of the box there was an explanation for the image. 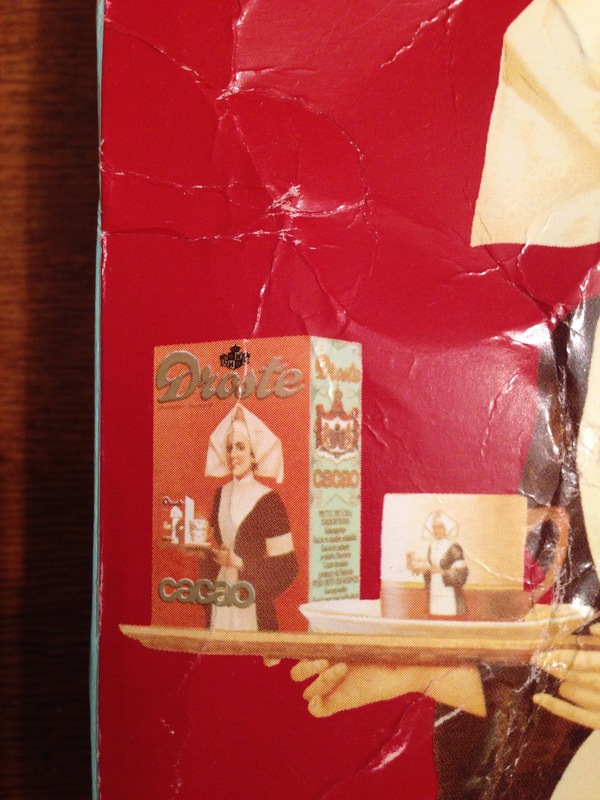 It read, “Droste effect: Since 1900 this lady has appeared on the packaging of the Droste cocoa powder. The image has been inspired by the painting ‘la serveuse de chocolat’ of the Swiss painter Jean Etienne Liotard. The in itself repeating image as shown on pack became world known as the ‘Droste effect’.” Pretty neat that Droste had created an image that had an effect on the whole world! From the look and aroma of the cocoa, it reminded me of cocoa powder used for baking or for preparing dark hot chocolate. 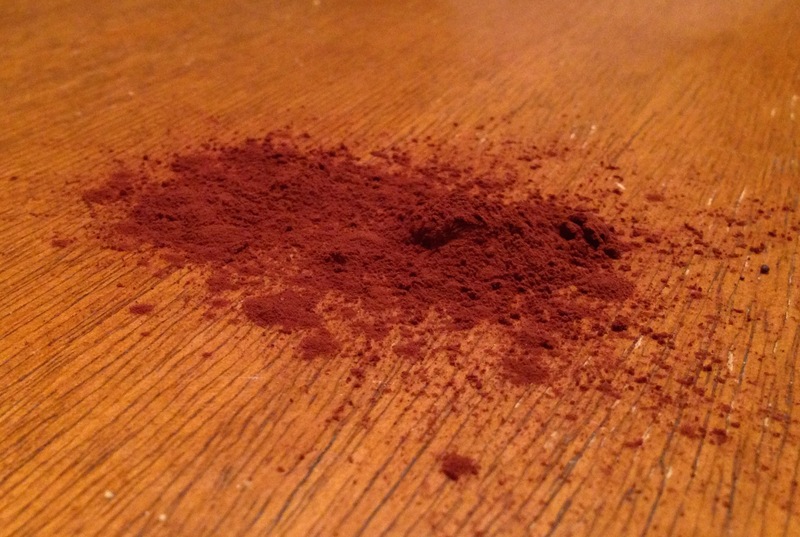 The directions on the box said to simply combine some of the cocoa powder with some sugar and water to make a paste, then to add hot water or milk. 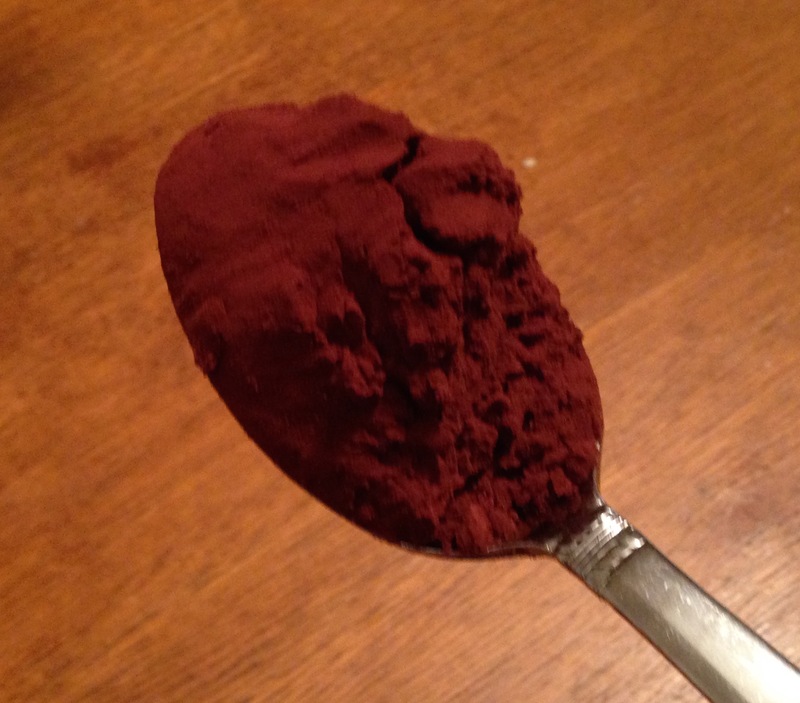 I used 1 1/2 teaspoon of cocoa powder, a 1/2 teaspoon of sugar and hot milk for my cup of hot chocolate. The flavor of the hot chocolate was more on the bitter side, but the taste reminded me of dark hot chocolate. The milk helped take some of the bitterness edge off. I really like that the box doesn’t direct you to use a specific amount of cocoa powder to sugar ratio so that you could experiment with what combination you like the best 🙂 I think next time I will use equal parts of cocoa powder and sugar to make it sweeter. Usually I don’t eat white chocolate because of how sweet it is, but this one I liked! 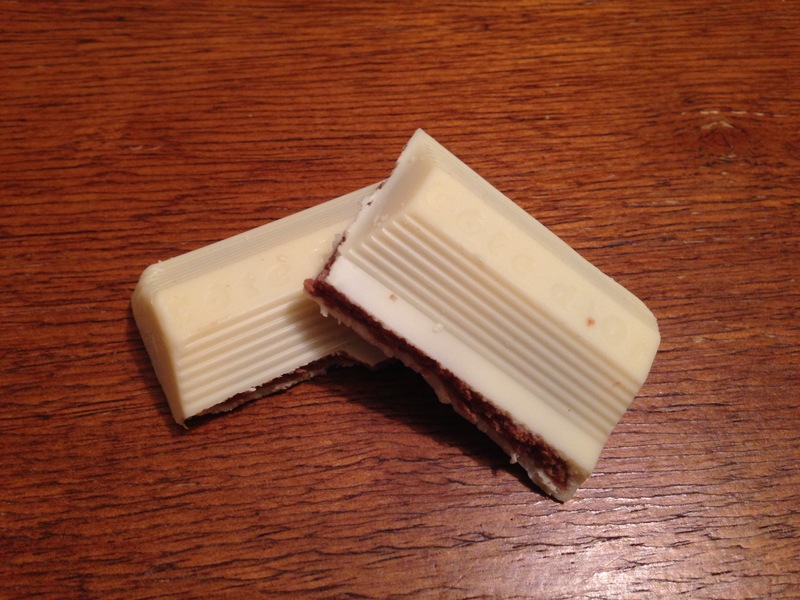 The creaminess of the white chocolate was well balanced by the darker praline on the inside. 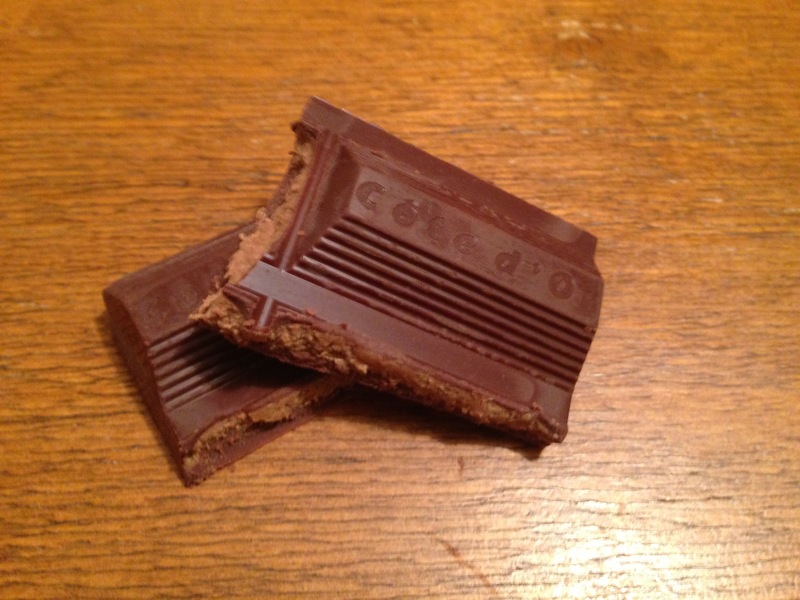 My guess is that maybe the praline was hazelnut or a general praline that Côte D’Or might be using in all three bars? The milk chocolate bar with hazelnut pieces in the praline seemed to melt in my mouth 🙂 The harder shell on the outside with the soft praline inside made a nice texture combination. 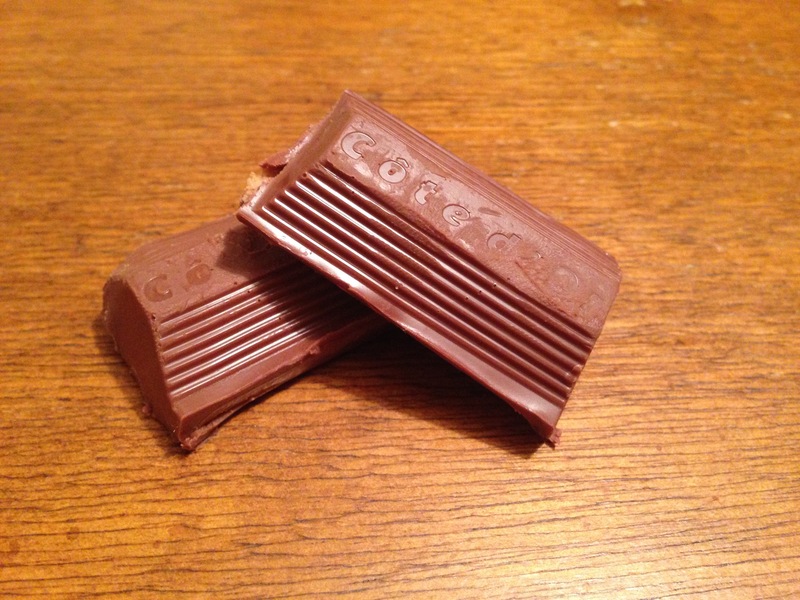 I’ll have to go to my favorite chocolate store in Richmond sometime where I’ve seen one or two Côte D’Or bars and see if they might be of different varieties than what I’ve just tried. I highly recommend all of the items my aunt had sent me 🙂 I’m so grateful to have a relative who also loves chocolate and has greatly helped introduce my family and I to new things in the world of chocolate!